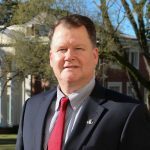 Dr. Robert McKinley taught his first courses at Judson in 2008-2010, while he was an ROTC instructor at Marion Military Institute. He has served as an instructor in Judson’s Distance Learning program since 2009, teaching courses in Accounting, English, History, International Relations, and Political Science. In addition to his Distance Learning courses, he is teaching on-campus courses in History during the spring 2019 semester. He holds a Bachelor of Science in Public Administration and Political Science from Georgia College; a Master of Science in International Relations from Troy University; a Master of Science degree in Accounting from Liberty University’s online program; an MBA with emphasis in International Business from Northcentral University; a Master of Arts in English from National University; and a doctorate in Business Administration from Northcentral University. Dr. McKinley earned his commission as a U.S. Army officer from the Early Commissioning Program at Georgia Military College. He is now a retired U.S. Army Lieutenant Colonel and has served in Albania, Bosnia, Colombia, Germany, Korea, and Peru. He has served in the following units: 2nd Infantry Division, 7th Special Forces Group (Airborne), V Corps and the Defense Intelligence Agency. Mr. McKinley is a graduate of the Defense Strategy Course, the Command and General Staff College, Joint Military Attache School, the Special Forces Qualification Course, Ranger School, Military Free-Fall School, and Pathfinder School. Dr. McKinley’s awards and decorations include the Legion of Merit, The Defense Meritorious Service Medal, the Meritorious Service Medal, Global War on Terrorism Expeditionary Medal, NATO Medal, the Expert Infantryman’s Badge, and Master Parachutist Badge. His last assignment on active duty was at the U.S. Embassy in Bogota, Colombia, where he served as the Assistant Army Attache in the Defense Attache Office. Dr. McKinley is married to Soraya, his wife of twenty-six years, and they have two children. In his free time, Dr. McKinley enjoys reading, jogging, and traveling. He also enjoys being an instructor and helping others to learn new things that they can apply in the real world.